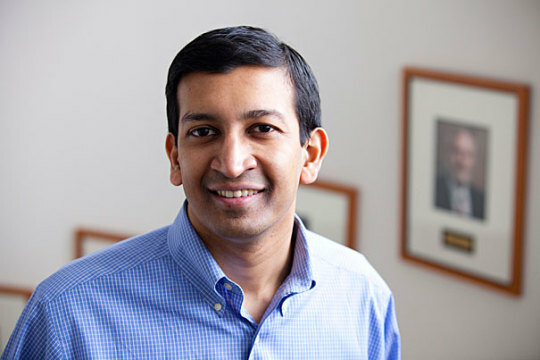 Raj Chetty is Bloomberg professor of economics at Harvard University. Listen to the entire interview here. Northern Arizona University is developing a graduate certificate for indigenous leadership and Native nation building through the Department of Applied Indigenous Studies. #NPRSource’s Manley Begay is at the forefront of the effort. Graciela Aponte is the Communications and Policy Analyst for the Center for Responsible Lending’s (CRL) California office. Prior to her current position, she was a Senior Legislative Analyst for the Wealth-Building Policy Project at the National Council of La Raza (NCLR). While at NCLR, Aponte testified before the U.S. House Committee on Financial Servicesregarding mortgage market reform, predatory lending and FHA reform. In 2011, she was a fellow with The Opportunity Agenda. Aponte was a bilingual housing counselor at Housing Initiative Partnership in Prince George’s County, Maryland, and prior to that she was the Director of Grants and Appropriations to Congresswoman Nydia Velázquez of New York, and Community Liaison to Congressman Albert Wynn of Maryland. Aponte’s work and expertise has appeared on NBC Latino, Radiobilingue and Hispanic Link News Service. She received her bachelor’s degree in Government and Politics from the University of Maryland.